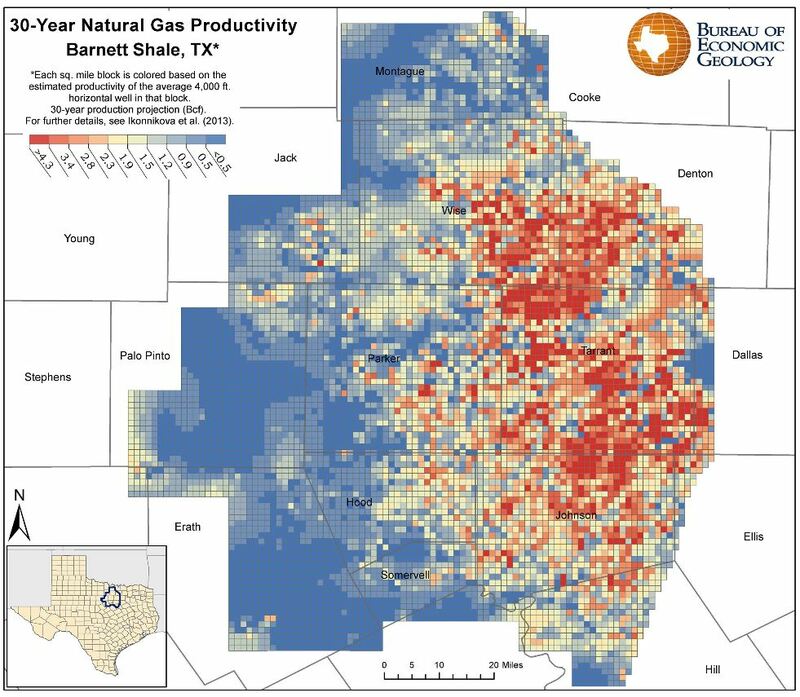 UT’s Bureau of Economic Geology has issued a comprehensive report on the estimated reserves in the Barnett Shale Field. The study, funded by the Alfred P. Sloan Foundation, looked at 16,000 wells in the field. It has been submitted for peer review before publication, but a summary of the report can be found on the BEG website. 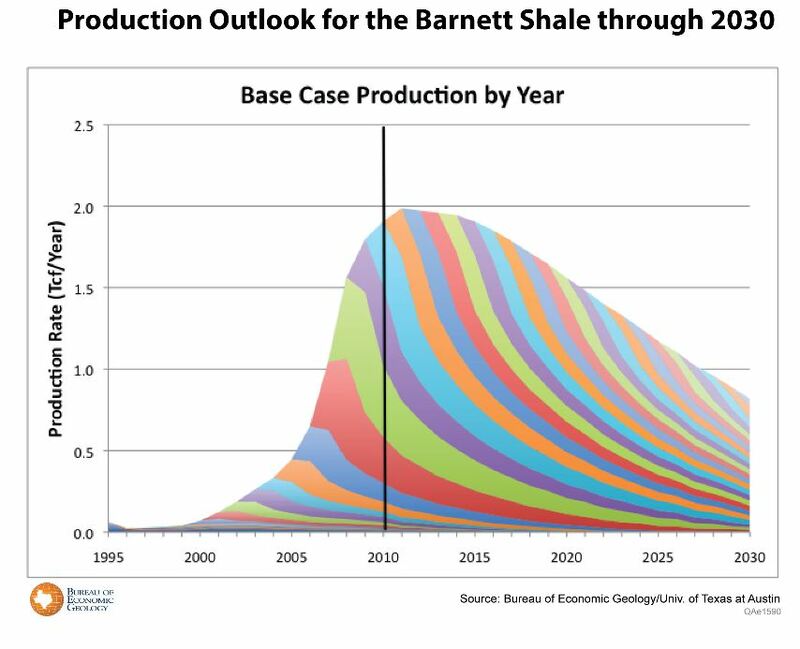 The BEG plans to complete similar studies of the Marcellus, Haynesville and Fayetteville Shales by the end of 2013.